I usually try to avoid any and all spoilers before seeing a thriller, so I went into Angelina Jolie‘s spy flick, Salt, with blinders on. (And, never fear, I won’t spoil anything here.) I knew the plot concerned a CIA operative accused of being a Russian sleeper agent, and I was determined not to ruin any surprises. Well, imagine my surprise to see that the film’s president of the United States was played by none other than Hunt Block! 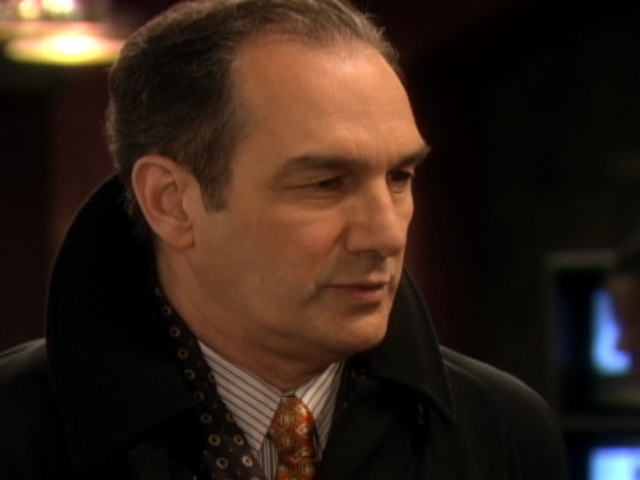 Block was my favorite incarnation of AS THE WORLD TURNS’ Craig (Sorry, Jon Lindstrom), and I was delighted to see that he portrayed fictional President Lewis with the same laconic charm that he brought to the shady Mr. Montgomery. But Block also lent Lewis a real sense of gravitas. I was surprised at what a great commander-in-chief Block made. Another veteran of ATWT, former Faith Cassidy Hinkle, has a featured role in several flashback sequences. In addition, a couple of other soap stars have blink-and-you’ll-miss-’em roles: Victor Slezak goes from dead sleazeball politician Silas on ATWT to a one-star general in the movie; ONE LIFE TO LIVE’s Tika Sumpter (Layla) runs the front desk at Langley, while castmate Kamar de Los Reyes (Antonio) plays a Secret Service agent; and Michelle Ray Smith (ex-Ava, GUIDING LIGHT) can be seen in a key bunker scene. And, by the way, I really enjoyed Salt. Jolie is a charismatic lead, and the story went in a direction that I didn’t quite expect. The action sequences were a bit outlandish, but the story was so entertaining that I was willing to take it all with a grain of…salt. Wow, 2009 was one hell of a year for soaps — and not in a good way. Leaving aside the budget slashing and contract hassles, we lost an entire series, GUIDING LIGHT, back in September. And while that was bad enough, it was particularly painful because GL had undergone such a creative renaissance that it was clearly the best soap on the air when its light was actually snuffed on Sept. 18. So sad. And now comes word that AS THE WORLD TURNS will also come to an end — next September. As luck would have it, ATWT is currently on the creative upswing, and the only conceivable positive spin I can see coming out of the cancellation is the hope that ATWT will follow in the footsteps of its late sister show and go out in a blaze of glory. Freed of worrying about pandering to demographics, the-powers-that-be at GL cut loose and told entertaining, fun stories about people and families. You fans can make a difference, too: Write to all the networks and tell them you watch soaps, and that you matter, even if you don’t have one of those Nielsen boxes. And take heed, ATWT: Make CBS sorry it discarded you! As I stand on the brink of 2010, I hope the rest of the soaps can hold on — not just for another year, but for another few decades. The TV landscape needs more shows like ATWT (and yes, GL), not fewer. Judging a show strictly by the Nielsen ratings system is short-sighted and does not reflect the entertainment world of 2010. I hope the networks can be persuaded to understand this, and soaps can be pulled back from the precipice.